Chrichton's World: Review Tale of Tales a.k.a. Il racconto dei racconti (2015): A return to old school fairy tales, the bloody and scary ones! 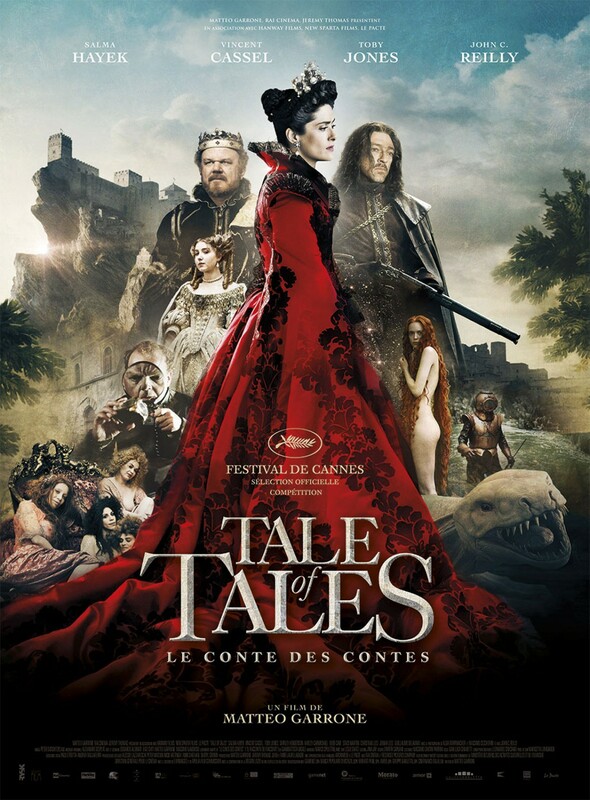 Review Tale of Tales a.k.a. Il racconto dei racconti (2015): A return to old school fairy tales, the bloody and scary ones! Before Disney got their hands on them fairy tales weren't as happy and sweet. They usually told dark and grim tales to scare the hell out of you but mostly to teach you a valuable lesson. Often these were tales to confront people with their negative characteristics like greed or vanity. And Tale of Tales does a good job of bringing some of them on the screen and combine them in a way that it feels like they all belong in the same world. I recognized a few of the tales since I loved to read those back when I was a very young Chrichton. And I was very curious to see how they would spin and twist these stories. Director Matteo Garrone is mostly concerned with the visuals and the performances of the cast. The story however (the irony) doesn't seem to matter much. It's hard to find a connection between the different fairy tales other than the fact that their characters cross paths in some way or form. The tales themselves are as magnificent and bizarre as how they should be. Creepy, unrelenting and merciless. While the pacing was a little too slow for my taste I did manage to get caught up in them and I kept waiting and waiting for this beautiful ending that never came. Thing is that Tale of Tales doesn't really do much to give significance to any of the tales (on their own or combined) nor does it bother giving you a moral at the end. That for me was the one element that made those old school fairy tales so much fun. Despite the darkness and cruelty there was a glimmer of light and hope somewhere to be found and that was strangely very motivating. Here all is presented too dark and gloomy without actually telling anything. This results in dissatisfaction and disappointment when the film finally decides to end. You know what this film was missing? A narrator like John Hurt in Jim Henson's The Storyteller. He or she could have woven the different tales to together and make them somewhat coherent. But I guess since this film is more meant for adults that would have been considered childish. Of course this is all assumption on my part. Still it is puzzling why the director did not do more with the tales. Fortunately a lot of the flaws are redeemed by the good performances of the entire cast. Salma Hayek once again confirms she has grown as an actress and was happy to see her in this. The previous times she made this apparent to me was in Savages and Everly. Vincent Cassel is funny as the oversexed king who does not seem to be picky untill he hears this enchanting voice. Not sure if it was the voice or just his imagination but that is besides the point. Which brings me to another element that I thought was not enough off. Humour. The old school fairy tales might have been dark but they often were accompanied by funny depictions. Apart from Vincent Cassel's character everything was played too seriously. Even the tale involving the king who had a flee as pet was devoid of humour. Do note that I only point this out due to disappointment of not getting more from the time I invested in the film. Despite it's flaws there is enough to be enjoyed as long as you are aware that there is no pay off at the end. This definitely won't be a movie for everyone.